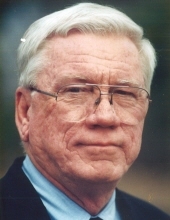 Thomas "Tom" Jackson Overton Jr., age 77 of Carrollton, Georgia passed away Tuesday, December 4, 2018. Tom was born in Columbia, South Carolina on August 14, 1941, the son of the late Thomas Jackson Overton, Sr. and Margaret Davis Overton. He served in the United States Navy on the USS Enterprise and USS Independence and was a graduate of the University of South Carolina. He was a retired newspaper publisher with Paxton Media Group. He was an active member of the First United Methodist Church. Survivors include his wife of 55 years, Idys F. Overton; son and daughter-in-law, Tom and Mia Overton, III of Kissimmee, Florida; daughter and son-in-law, Abbie and Scott Cooper of Corinth, Mississippi; grandchildren, Thomas J. Overton IV, Mason Overton, James Overton, Elizabeth (Drew) Garrett and Jackson Blaine Mitchell. Besides his parents he was preceded in death by a brother, Michael Overton. The family will receive friends at Almon Funeral Home on Thursday, December 6 from 5 p.m. until 7 p.m.
A memorial service will be held Friday, December 7, 2018, at 2 p.m. at the First United Methodist Church with Rev. Larry Patton, Rev. Tommy Greer and Rev. Ken Stephens officiating. Honorary pallbearers will be the Rotary Club of Carrollton, golf buddies and neighbors of Melrose Park. American Legion Post 143 will present the flag. Memorial contributions may be made to the First United Methodist Church Sanctuary Choir, 206 Newnan Street, Carrollton, Georgia 30117, Alice's House, P.O. Box 1596, Carrollton, Georgia 30112, C.A.S.A., P.O. Box 310, Carrollton, Georgia 30112 or the School of Business, USC Office of Gift Processing, 1027 Barnwell Street, Columbia, SC 29208. "Email Address" would like to share the life celebration of Tom Overton. Click on the "link" to go to share a favorite memory or leave a condolence message for the family.